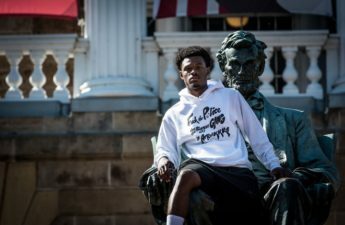 Following the release of University of Wisconsin student Eneale Pickett’s last clothing line “No Justice” two weeks ago, Pickett debuted another shirt Monday focusing on Trump’s controversial rhetoric. 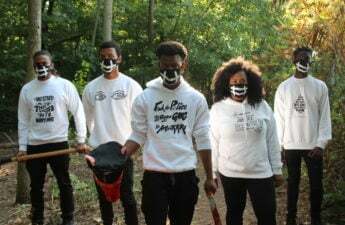 After receiving backlash from Sen. Steve Nass for his graphic video depicting police brutality, Pickett — the creator of Insert Apparel — decided to unveil an image of his new shirt on Facebook Monday separate from “No Justice” because it tackles different topics. 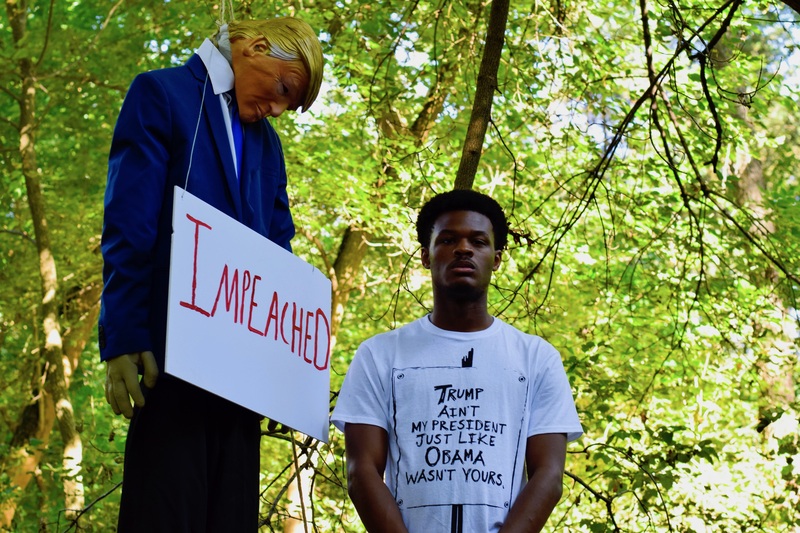 Pickett is seen with the shirt, which reads “Trump Ain’t My President Just Like Obama Wasn’t Yours,” standing next to a man with a Trump mask with a noose around his neck. Pickett cited Trump’s quotes toward Mexican immigrants and woman as how “dangerous” Trump is as a president, who has enacted polices such as removing DACA which, Pickett believes, further oppresses people of color institutionally. The purpose of making this shirt is to show Trump “being lynched by his own words.” Pickett wanted to display what he believes is the hypocrisy of those who said “Obama is not my president” during his presidency, but now criticize those who say the same about Trump. Pickett said he chose to portray Trump lynched to reflect how those who voted for him regret doing so now that he is in office. When asked about how this is different from the noose incident last year where a man wore a costume of Obama being lynched at Camp Randall, Pickett said they don’t have the same context. Since releasing his clothing line two weeks ago, Pickett’s Facebook account was suspended; however, the image advertising his new shirt has been circulating on Facebook. Some members of the community have expressed mixed feelings about the image used in conjunction with the t-shirt. 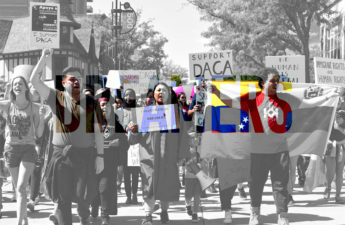 Sue Robinson, a UW journalism professor, may not agree with the message but urges her white peers to take a step back and understand where these sentiments come from. Pickett plans on creating more clothing this spring targeting the importance of self-care. His merchandise is currently available on insertapparel.com.